Strays in South Africa - Welttierschutzgesellschaft e.V. Everywhere in the townships in South Africa thousands of animals live and suffer. 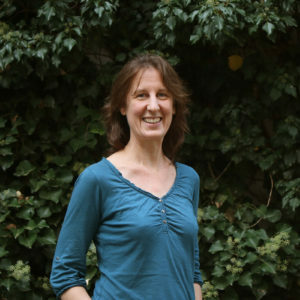 Where the risk of infection with rabies is highest and freely roaming dogs and cats reproduce without control, veterinary care is almost completely lacking. 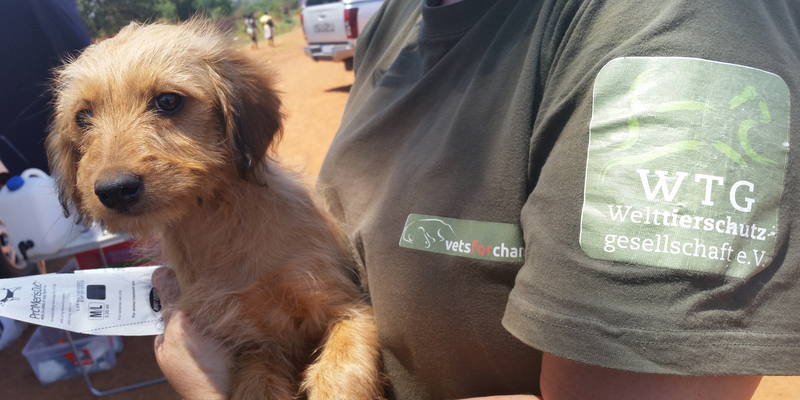 We strife to change that: Our partner organisation, Community and Veterinary Services for Southern Africa (CVS-SA) is working on site offering mobile animal clinics and education. 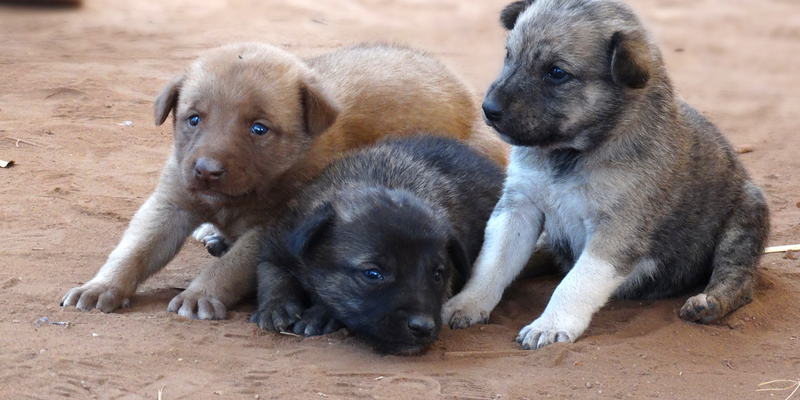 An estimated 85 per cent of all companion animals in South Africa are kept in the townships. No matter, how poor people are, there is always space for an animal, either a cat to catch mice or a dog as watchdog. But most of the inhabitants of those townships haven’t got the financial resources to pay for veterinary care. The leak of veterinary care not only put the animals at risk, but people, too. Each year numerous dogs but also people die of an infection with rabies, because only about 15 per cent of the animals are vaccinated regularly against that virus. Also other diseases like mange, blood parasites or parvovirus spread with enormous speed and in most cases there is no adequate treatment available. Instead, many animals are killed by humans for fear of infection in the most brutal ways. In cooperation with the organisation Community and Veterinary Services for Southern Africa (CVS-SA) we are facing the problem. 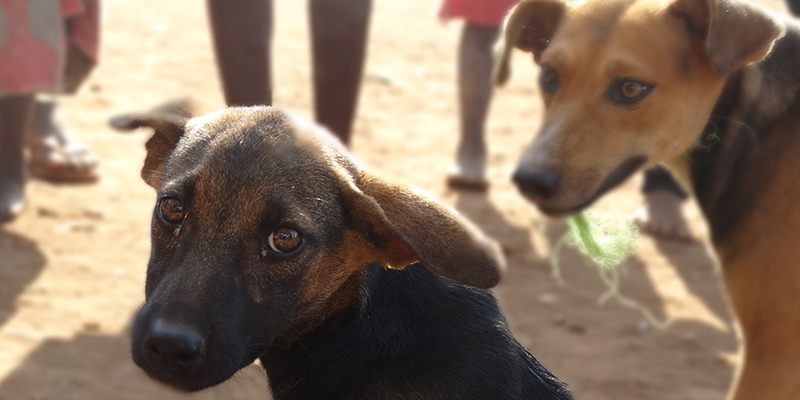 In order to improve the living conditions of the animals in the townships we help to establish regular veterinary care and to offer educational measures to improve the knowledge of the population. For these purposes together with our partner CVS-SA we set up a mobile animal clinic operated by trained veterinary staff. Every day the team is on tour, visiting up to six communities around South Africa’s capital Pretoria each day. 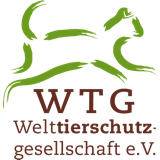 Thus they guarantee basic veterinary care for the animals there e.g. vaccinations, de-worming, and dressing of wounds. As most inhabitants of the townships cannot pay for the treatment, in return they often assist with smaller works in the project. In the communities there are trained contact persons available when the mobile clinic is not on site. In case of need these persons are able to give a first assessment of the state of an animal and are able to treat minor cases themselves. In acute emergencies they call the staff of CVS-SA. In addition to the mobile clinics twice a week from 5am until 5pm castrations take place to reduce uncontrolled reproduction of the pets and prevent animal suffering long term. 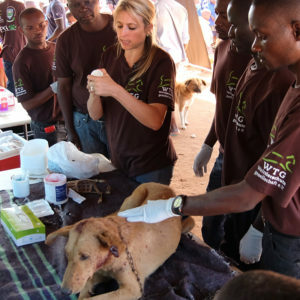 Veterinary students from Pretoria university support the clinics as part of their training and so have the possibility to get to know the situation in the townships which often reduces prejudice. Providing education and creating awareness play an important role, because only through the local people a better future for animals can be reached. To talk with the owners about appropriate keeping and caring for their animals and to instruct them about the animals’ needs is an important part of our work. In order to teach children as the animal keepers of the future what animals actually need and how they can be looked after adequately, our partner organisation visits nurseries and schools in the townships, too. Many children grow up in an environment determined by violence, drugs and alcohol. Often for the first time in playschool they learn, what it means to feel pity and compassion and to apply such pity and compassion to animals, too. In playful ways the employees of CVS-SA teach the children about the basic needs of dogs and cats. So any possible readiness to act violently against animals is reduced and the children discover what it means to love an animal. In the long term we intend, together with CVS-SA, to spread this concept of veterinary care for animals to other districts in South Africa, too. This project lives from the many dedicated people in South Africa and from your financial support. Help us to give animals a real chance: Please make a donation.